Improved national self-confidence and economic stability are just two of the things MEPs from the EU's two newest states picked out as the results of a year of EU membership, the EP said in a press release today. One year on, what changes has EU membership brought to your country? Bulgarian Socialist Marusya Lyubsheva: improved self-confidence of the Bulgarian citizens, the feeling that Bulgaria has always been a European land and now is a part of the great European family. Bulgaria's membership in the EU has brought greater economic stability; the expectations of sceptics about crises and disruptions in the different fields did not come true. We have also started benefiting from EU structural and cohesion funds. 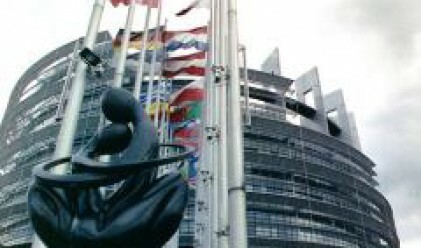 Marian-Jean Marinescu, a Romanian vice-chairman of the center right EPP-ED: the most visible change for Romanians is the disappearance of border controls, their possibility to legally work abroad, combined with the recognition of diplomas and qualifications. In your work as an MEP, what part of your work has the most impact on people's lives? Bulgarian MEP Petya Stavreva (EPP-ED): I supported a position which conformed to the interests of Bulgarian wine makers regarding the addition of sugar. My work with the agricultural NGOs and professional organizations is very important for feedback and professional opinions. Their point of view is very important for me when I participate in the discussion of concrete questions in the Agriculture committee in Parliament. Marian-Jean Marinescu: Taxes, labor contracts, relationships between employers and employees, the quality of services, the safety of transports, citizens' rights and security. All these and much more depend on our activity; therefore we will do all we can to improve their lives because, for us, the citizens are the most important. What factors could increase turnout at the 2009 European elections? Bulgarian Liberal Metin Kazak: More awareness of the agenda of the European parliament and its role in the decision making process...through informal education the European citizenship should be promoted in order to build a Europe-focused type of political thinking for each and everyone citizen of the European Union. Romanian-Socialist Adrian Severin: If citizens understand that the EU brings value to the policies of the member states regarding the individual, social, national and international security of the European citizens, they will become loyal to EU. The major proof of their loyalty will be the participation in the vote.